Primer impresor inglés. Nace probablemente en Tenterden, Kent. En el año 1441 viaja a Brujas, Bélgica, donde se dedica al negocio de tejidos y hacia 1471 se traslada a Colonia, Alemania, donde conoce el arte de la impresión. En ese tiempo, traduce al inglés un popular romance francés, que imprime en Brujas bajo el título de Colección de Historias de Troyes (1474), famoso por ser el primer libro impreso en inglés. En 1476 vuelve a su país y establece su propia imprenta, la primera de Inglaterra, en el recinto de la Abadía de Westminster. Lo primero que se publica en ella es una indulgencia, distribuida en diciembre de 1476. Utiliza por primera vez en Londres los grabados en madera en la obra Mirror of the World. Edita unas 100 publicaciones, entre las que hay libros de historia y geografía, vidas de santos y fábulas. Entre los libros más notables que salen de su imprenta se encuentran Los Cuentos de Canterbury y Troilo y Criseide, de Geoffrey Chaucer, así como Confessio Amantis, de John Gower. Autor de los prólogos y los epílogos de muchas de las obras que edita, uno de los más conocidos es el prólogo al poema épico en prosa Le Morte d'Arthur por Thomas Malory. Han sobrevivido menos de 40 de sus publicaciones, en ejemplares sueltos o en fragmentos. The first English printer, born somewhere in the Weald of Kent, perhaps at Tenterden. The name, which was apparently pronounced Cauxton, is identical with Causton, the name of a manor in the parish of Hadlow, and was a fairly common surname in the 15th century. 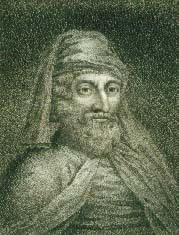 The date of Caxton's birth was arbitrarily fixed in 1748 by Oldys as 1412. Blades, however, inferred that in 1438, when he was apprenticed to Robert Large, he would not have been more than sixteen years of age. This would place his birth in 1422-23. 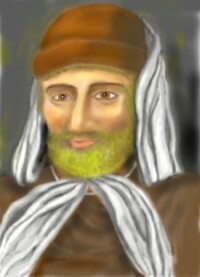 Robert Large was a rich silk mercer who became sheriff in 1430 and lord mayor of London in 1439, and the fact of Caxton's apprenticeship to him argues that Caxton's own parents were in a good position. Large died in 1441, leaving a small bequest to Caxton, and his executors would be bound to place the young man where he could finish his term. He was probably sent direct to Bruges, then the central foreign market of the Anglo-Flemish trade, for he presently entered business there on his own account. In 1450 his name appears in the Bruges records as standing joint surety for the sum of £100; and in 1463 he was acting governor of the company of Merchant Adventurers in the Low Countries. This association, sometimes known as the "English Nation", was dominated by the Mercers' Company, to the livery of which Caxton had been formally admitted in London in 1453. The first governor, appointed in terms of a charter granted by King Edward IV in 1462, was W. Obray, but Caxton's position is definitely asserted in 1464. In that year he was appointed, together with Sir Richard Whitehill, to negotiate with Philip, Duke of Burgundy, the renewal of a treaty concerning the wool trade, which was about to expire. These attempts failed, but he was again employed, with two other members of the Mercers' Company, in a similar but successful mission in October 1468 to the new duke, Charles the Bold, who earlier in the year had married Princess Margaret of York, sister of Edward IV. The last mention of Caxton in the capacity of governor of the "English Nation" is on the 13th of August 1469, and it was probably about that time that he entered the household of the duchess Margaret, possibly in the position of commercial adviser. In his diplomatic mission in 1468 he had been associated with Lord Scales, afterwards Earl Rivers and one of his chief patrons, and at the Burgundian court he must have come in touch with Edward IV during his brief exile in 1470. He had begun his translation of the popular medieval romance of Troy, The Recuyell of the Historyes of Troye, from the French of Raoul le Fèvre, early in 1469; and, after laying it aside for some time, he resumed it at the wish of the duchess Margaret, to whom the manuscript was presented in September 1471. During his thirty-three years residence in Bruges Caxton would have access to the rich libraries of the Duke of Burgundy and other nobles, and about this time he learned the art of printing. His disciple, Wynkyn de Worde, says that he was taught at Cologne, probably during a visit there in 1471, recorded in the preface to the Recuyell; Blades suggests that he learned from Colard Mansion, but there is no evidence that Mansion set up his press at Bruges before 1474. He ceased to be a member of the guild of St. John (a guild of illuminators) in 1473, and the first dated book he is known to have printed is dated 1476. Mansion and Caxton were partners or associates at Bruges, where Caxton printed his Recuyell in 1474 or 1475. His second book, The Game and Playe of Chesse, from the Liber de ludo scacchorum of Jacobus de Cessolis through the French of Jehan de Vignay, was finished in 1474, and printed soon after; the last book printed by Mansion and Caxton at Bruges was the Quatre derrenieres choses, an anonymous treatise usually known as De quattuor novissimis. Other books in the same type were printed by Mansion at Bruges after Caxton's departure. By September 1476 Caxton had established himself in the almonry at Westminster at the sign of the Red Pale. Robert Copland the printer, who was afterwards one of Caxton's assistants, states that Caxton began by printing small pamphlets. The first dated book printed in England was Lord Rivers's translation (revised by Caxton) of The Dictes or sayengis of the philosophres (1477). From this time until his death in 1491 Caxton was busy writing and printing. His services to English literature, apart from his work as a printer, are very considerable. His most important original work is an eighth book added to the Polychronicon (vol. viii in the Rolls Series edition) of Ralph Higden. Caxton revised and printed John of Trevisa's work, and brought down the narrative himself from 1358 to 1460, using as his authorities Fasciculus temporum, a popular work in the 15th century, and an unknown Aureus de universo. In the year before his death he complained in the preface to his Eneydos of the changing state of the English language, a condition of things which he did as much as any man to remedy. He printed Geoffrey Chaucer's Canterbury Tales (1478? and 1483), Troilus and Creseide (1483? ), the House of Fame (1483? ), and the translation of Boethius (1478? ); Gower's Confessio Amantis (1483), and many poems of Lydgate. His press was, however, not worked for purely literary ends, but was a commercial speculation. For the many service-books which he printed there was no doubt a sure sale, and he met the taste of the upper classes by the tales of chivalry which issued regularly from his press. He printed Sir Thomas Malory's Morte d'Arthur, and himself translated from the French the Boke of Histories of Jason (1477? ), The Historye of Reynart the Foxe (from the Dutch, 1481 and 1489? ), Godfrey of Boloyne or The Siege and Conqueste of Jherusalem (1481), The Lyf of Charles the Grete (1485), The Knyght Parys and the Fayr Vyenne (1485), Blanchardyn and Eglantine (1489? ), The Foure Sonnes of Aymon (1489? ); also the Morale Proverbs (1478), and the Fayttes of Armes and of Chyualrye (1489) of Christine de Pizan. The most ambitious production of his press was perhaps his version of the Golden Legend, the translation of which he finished in November 1483. It is based on the lives of the saints as given in the 13th century Legenda Aurea of Jacobus de Voragine, but Caxton chiefly used existing French and English versions for his compilation. The book is illustrated by seventy woodcuts, and Caxton says he was only encouraged to persevere in his laborious and expensive task by the liberality of William, Earl of Arundel. The idleness which he so often deprecates in his prefaces was no vice of his, for in addition to his voluminous translations his output as a printer was over 18,000 pages, and he published ninety-six separate works or editions of works, with apparently little skilled assistance, though later printers, Wynkyn de Worde, Robert Copland and possibly Richard Pynson, were trained under him. The different fonts of type used by Caxton are illustrated by Blades and Duff, and there is an excellent selection of Caxton's in the British Museum, in the University library at Cambridge, besides those in private hands. His books have no title pages, and from 1487 onwards are usually adorned with a curious device, consisting of the letters W. C. separated by a trade mark, with an elaborate border above and below. The flourishes on the trade mark have been fancifully interpreted as S.C. for Sancta Colonia, implying that Caxton learned his art at Cologne, and the whole mark has been read as 74, for 1474, the date of his first printed book. This device was first used in an edition of the Sarum missal, printed for Caxton by George Maynial in Paris, and was subsequently adopted with small alterations by his successor at the Westminster press, Wynkyn de Worde. The first of his books conaining woodcut illustrations was his Myrrour of the World (1481), translated from Vincent de Beauvais, which has diagrams and pictures for the assistance of young students. He had used a woodcut initial letter in his broadside Indulgence printed in 1480. 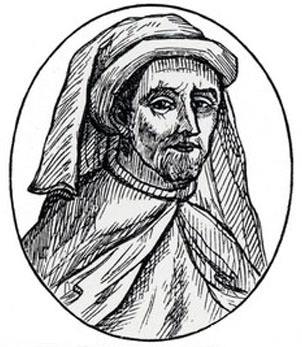 No record of Caxton's marriage or of the birth of his children has been found, but Gerard Croppe was separated from his wife Elizabeth, daughter of William Caxton, before 1496, when Croppe made certain claims in connection with his father-in-law's will. Johann Gutenberg invented the printing press in Germany around 1450, but William Caxton (1422?-1491), was the first English printer, born probably in Tenterden, Kent. His translation and print of The Recuyell of the Historyes of Troye, in 1474, was the first book printed in English. 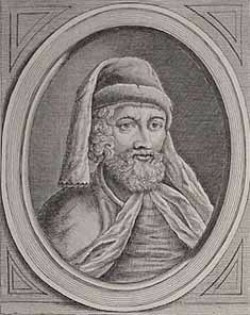 Caxton printed nearly 100 publications, about 20 of which he also translated from French and Dutch. The more notable books from his press include The Canterbury Tales and Troilus and Criseyde by English poet Geoffrey Chaucer and Confessio Amantis by English poet John Gower. Fewer than 40 of Caxton's publications still exist. 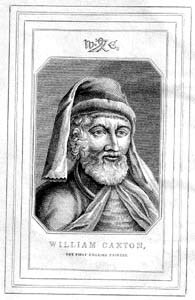 William Caxton, the first English printer, was born in the Weald of Kent. In 1438, he became apprenticed to Robert Large, a leading textile merchant who became the mayor of London the following year. After Large's death in 1441, Caxton moved to Bruges, the formost center for trade between the English and the Flemish, and built up a thriving textile business. He attained such prominence as a merchant that by 1463 he was acting governor of the Merchant Adventurers in the Low Countries. In 1464, he attempted unsuccessfully to renew a wool treaty with Phillip, Duke of Burgundy. Four years later, Caxton successfully completed the trade negotiations with Charles the Bold, Phillip's successor. Shortly thereafter, Caxton was hired as an advisor to Charles' new duchess, the former Princess Margaret of York, sister of Edward IV. It was at the request of the duchess Margaret that he resumed his abandoned translation of a popular French romance, The Recuyell of the Historyes of Troye from the French of Raoul le Fèvre. After spending a year in Cologne learning the art of printing, Caxton returned to Bruges and set up a printing press, where he published his translation of The Recuyell, the first printed book in the English language, around 1474. His next publication, The Game and Play of Chess Moralised (1474), was a translation of the first major European work on chess, and was the first printed book in English to make extensive use of woodcuts. In 1476, he returned to England and set up a printing shop at Westminster at the sign of the Red Pale. Here, Caxton published such major works as Troilus and Creseide, Morte d'Arthur, The History of Reynart the Foxe, and The Canterbury Tales. Over the course of 14 years, he printed more than 70 books, 20 of them his own translations from the Latin, French, and Dutch. The typefaces used by Caxton were all varieties of "black letter" or "gothic" type. His earlier works were set in an early form of French lettre bâtarde. By 1490, he had acquired a more round and open typeface, a textura originally used by the Parisian printer Antoine Verard and later favored by Caxton's successor, Wynkyn de Worde.